Positive pressure cooling is just such a product. While simple in concept, it is actually an engineering challenge. Positive pressure cooling for the greenhouse is nothing new. As a matter of fact, it has been used for over forty years but its use has been limited to small areas and special applications. The engineering challenge is to make it effective in large areas for commercial growers. The main problem to overcome is the massive solar heat gain inside a greenhouse. Normally greenhouse cooling is achieved by moving large volumes of air. This solution conflicts with the main benefit of positive pressure cooling, restricting insect entry into the greenhouse environment. It is a catch 22 engineering problem. Good cooling requires moving large amounts of air. All that air brings many insects into the greenhouse. 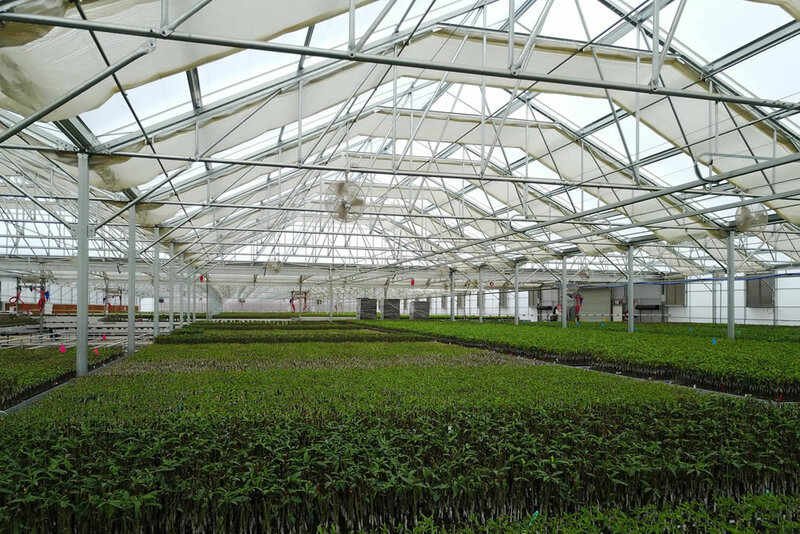 There are three basic greenhouse-cooling systems: positive pressure, negative pressure and natural ventilation. Negative pressure systems generally pull all the air out of a greenhouse once a minute with fans and pads located on opposite walls. Solar heat gain will cause the air temperature to rise as it travels from wall to wall. In some cases it may increase 20 degrees from pads to fans. And more insects are brought in every minute. The best natural ventilation system is only capable of matching the outside temperature and then all roofs and walls are open to insect infestation. Positive pressure systems force cool air into the greenhouse. The new cool air settles to the ground. The old air is warmed from the sun as it rises. It exits the ridge vents hot and far away from the crops. Historically positive pressure systems used small packaged units. Low airflow and small pad areas limited their cooling performance. They were used mostly for research facilities and high value crops where a clean environment was more important than cooling and where high operating costs could be justified. Agra Tech engineers have developed Agra Kool II, a system that overcomes the limitations of past positive pressure cooling systems making it a reliable cooling alternative for most growers. A steel covered frame is attached to one of the greenhouse walls. A standard cooling pad system is mounted to the outside. High volume jet-fans pull air through the pads and force it into the greenhouse through special convection tubes. Integrated pressure sensitive ridge vents maintain pressure and allow heat to exit. 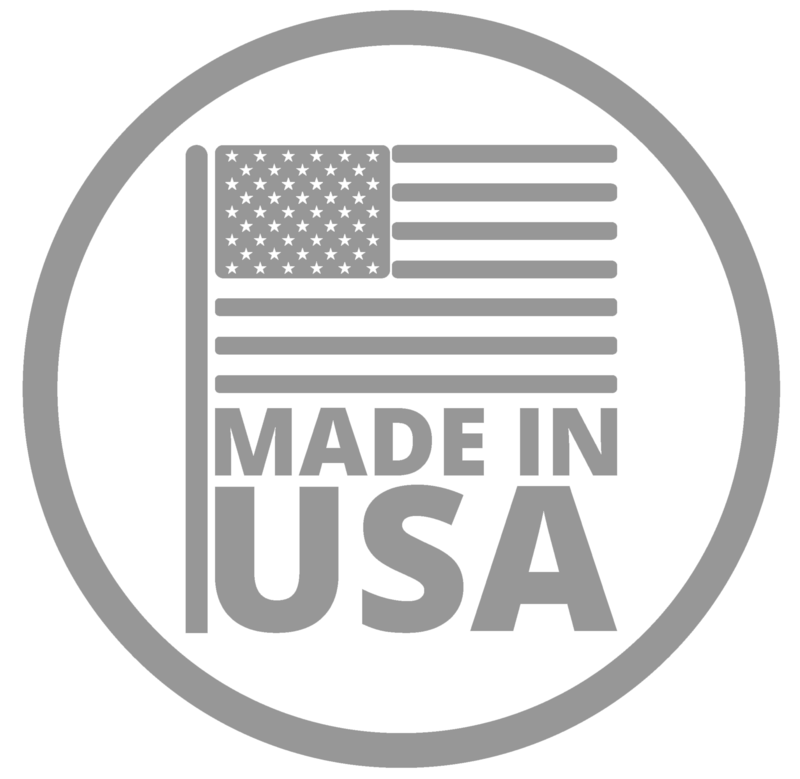 At Agra Tech, we have been on the technological edge of developing positive pressure greenhouse cooling for a decade. No other greenhouse manufacturer knows more about the engineering headaches inherent with positive pressure systems than us. 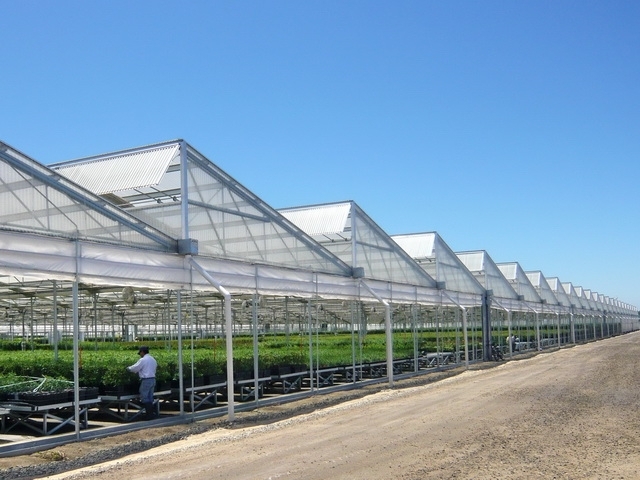 Growers have been relentless in their need for new and improved greenhouse cooling systems. So have we. After years of research and testing, it all came together. An Agra Kool II positive pressure cooling system will out-perform a standard negative pressure cooling system. Agra Kool II can deliver a 2 degree temperature differential within the greenhouse compared to a 7 degree differential for negative pressure. It is an effective barrier in insect entry. Adding insect screens improves the effectiveness and requires less cleaning. A gentle agitation of foliage is generated by the airflow that can generate stronger stem growth and better pollination in some crops. 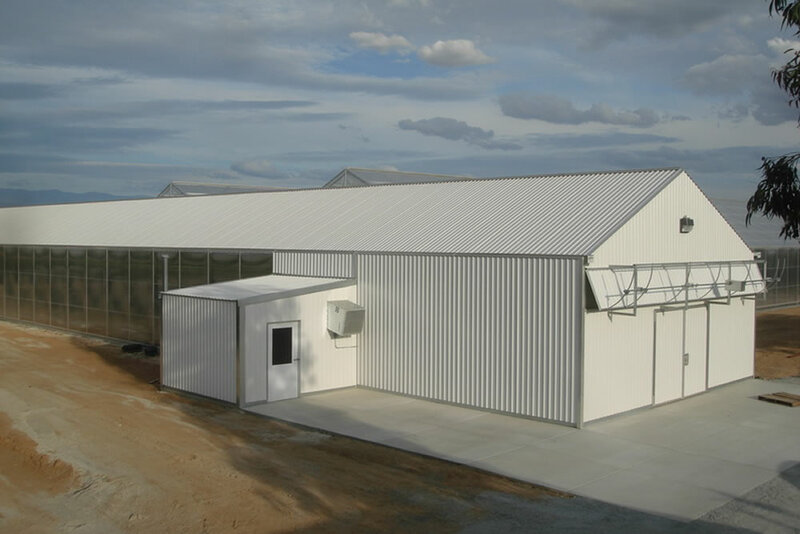 According to studies by the New Mexico State Agricultural Department, it was found that positive pressure cooling provides uniform distribution of cool air throughout the greenhouse. Delivered air is substantially cooler than with negative pressure systems by approximately 5-10 degrees. And when installed with thermal sensor and Agra Tech motor managers, the energy savings can be up to 50%. Another case in point is Pan American Seed who replaced its old-style cooling units with a system designed and engineered by Agra Tech. The new system features a steel covered frame at the end of each bay to house fan-jets, cellulose pads, distribution, and sumps. The high-volume fan-jets pull cool air through the pads and uniformly distribute it to the greenhouse via convection tubes. It is now possible to equip a large greenhouse with positive pressure cooling. Installation and operating costs are now competitive to negative pressure systems. In fact, even larger houses can be cooled because the cooled air can be delivered from two walls instead of just one. The advantages of positive pressure cooling, uniform temperature and insect restriction are a reality for a large commercial grower. After years of ideas, research, and testing, the industry can reap the reality of the results. Positive pressure cooling is now another tool for the modern grower to use to improve plant quality.